Seems the trend lately at the Oscars is to share the love and pass out the golden boy to a variety of nominated films. When was the last sweep of awards for one film? I guessed The Lord of the Rings: The Return of the King (2003) and looked at Wikipedia and IMDb for quick answers. Many award results I remembered, but some I did not know. Here are some Oscar wins trivia I pulled and thought I’d share. There are only three films that have won 11 Academy Awards. 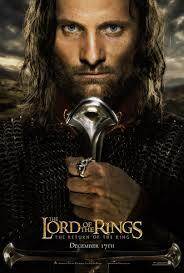 The Lord of the Rings: The Return of the King (2003) won all 11 categories for which it was nominated: Best Picture, Director, Adapted Screenplay, Original Score, Original Song, Sound Mixing, Art Direction, Makeup, Costume Design, Film Editing, and Visual Effects. 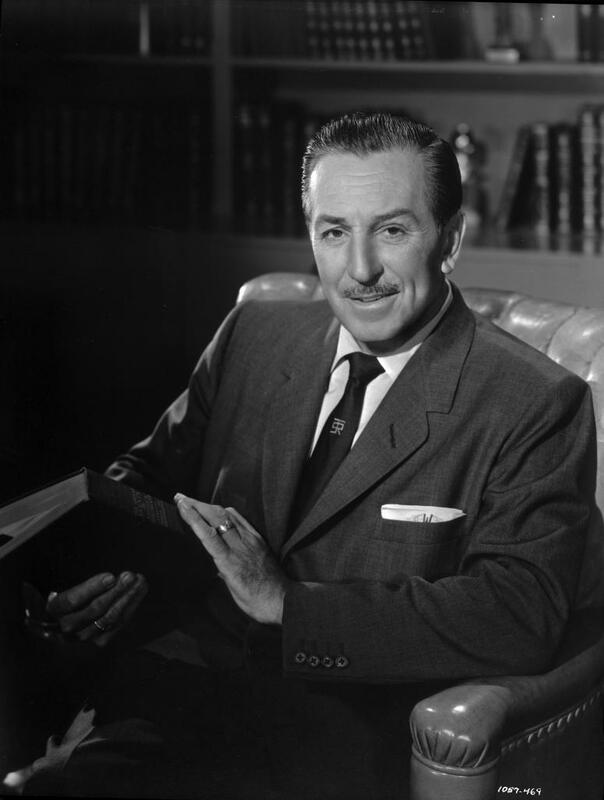 Walt Disney won 22 Oscars. He also won the most Oscars in one year, with four in 1954. Can you guess how many Oscars these greats won? Answers: 1. 6; 2. 5; 3. 5; 4. 4; 5. 7; 6. 4; 7. 4; 8. 2; 9. 2; 10. 0. Time to sit back, pop the cork to some bubbly, and see who wins. A perfectly timed post, Cindy. I’m curious to see what unfolds tonight with some of the quieter films up for awards. And for some reason, I keep thinking that Meryl has won a bucketload more than just 3. Here’s hoping it’s an entertaining show. Yes, she’s been nominated now 16 times but only won 3. That’s enough. Oh, Good! I thought there would have been more films that swept the evening than just three. West Side Story won 10 in 1961. On the Waterfront won 8. I’m surprised that The Godfather only won 3. Great post. I knew Hitchcock didn’t get any. Lot of snobbery I guess. His legacy surpassed voter opinions. He was nominated 5 times (Psycho, Rear Window,Spellbound, Rebecca, and Lifeboat). He was awarded in 1968 an Oscar for the “oops, you should have won at some point” Irving G. Thalberg Memorial Award. Yeah, totally. He really was an auteur of the highest calibre. I even did two quizzes of films that didn’t even get nominated for an Oscar -Modern and Classic. You would not believe some of the ones on there! What will you be eating while watching it btw? What a great way of describing it. How did the cake turn out? What did you think of Patrick Harris as host? I was bored. The opening number was fine, funny even, with Jack Black balancing out the sugar of moving pictures. Then it went down hill except for Julie Andrews and great seeing Shirley MacLaine. My favorite host lately was Hugh Jackman. There was one year I loved it when veteran stars sang the praises to the nominated. That stuck out with me. How about you? On UK time so not seen any of it yet. I didn’t like Patrick Harris in Gone Girl. From what I’ve read, he didn’t do a great job as host. Shame, as there was plenty of material to work with this year. You are lucky if you recorded it–fast forward it. Twas boring until it was time to announce the Big Six. HItchcock was awesome. I’ve seen “Vertigo,” “Rebecca,” and “North by Northwest” (to name a few of his films) countless times.I can’t understand why he didn’t win an Oscar. He should have won many. On the other hand, I can’t understand why Jack Nicholson won three Oscars or why “Titanic” won any. Hollywood politics, I guess. Daniel Day Lewis won me over years ago when he starred in “My Left Foot.” I think he’s one of the most versatile actors around. Great stuff Cindy! So much fun reading it before the big show! Enjoy it tonight! Thanks, my friend. You, too! During the last week, I’ve been suffering from the flu – but during that time, I discovered the joys of Netflix. I have been doing my own TCM / Robert Osborne thing: putting together movie collections to watch. 😀 Loving it! This past week has been an Audrey Hepburn salute. I’ve watched ‘Charade,’ ‘Breakfast at Tiffany’s,’ ‘My Fair Lady,’ ‘Funny Face’ – and an especial favorite – ‘Sabrina’ with Audrey, Bogie and William Holden. Thank God for films! They inform, they delight, they amuse, the move us. Happy Oscar Night! You’re awesome, Kate. What a fine way to find the silver lining and make your uncomfortable days endurable. I thank you, dear lady! Thanks, Rob! Quite a few legends, past and present, have been nominated several times, and eventually pull off a win. But to win more than twice seems downright impossible. Five individuals have won back to back Oscars. Luise Rainer was the first, in 1936 and 1937. Spencer Tracy won the lead acting Oscar two years in a row, 1937 and 1938. Katharine Hepburn won the Lead Actress Oscar two years in a row in 1967 and 1968, and then Jason Robards won the Supporting Actor Oscar two years back to back in 1976 and 1977. Most recently, Tom Hanks won back to back Oscars in 1993 and 1994 for PHILADELPHIA and FORREST GUMP. It was nice to see last night Alejandro Inarritu win back to back director wins. 🙂 Did you like the Oscars last night? Watched Ben Hur recently – inspired work. Will watch any Rings movie again. Pass on that boat tho. O’toole ? The greatest actor … never to win an Oscar. 8 nominations. (Is that telling?) shhhhhhh …. I LOVE all 3 films that won 11 Oscars, yeah it’s still a rarity to see a sweep like that. 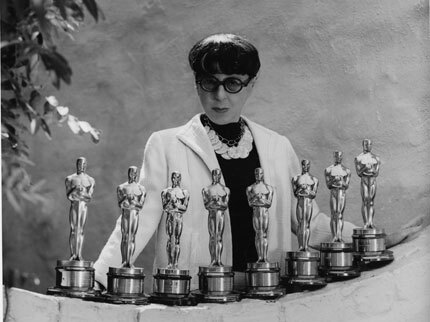 Edith Head is still the reigning Oscar queen w/ EIGHT awards, but her work is incredible! Poor Mr O’Toole, I feel bad for Roger Deakins too, he’s still the Susan Lucci of the Oscars. Your own theater in the basement? Nice. It’s interesting how icons cement themselves in your heart. I was surprised there were only three. Somehow over 70 years I thought there would be more sweeps. Edith–she was something! Colleen Atwood has been nominated 11 times–surely she will win one day. But I was happy for the wins Budapest took including Best Costume Design for Milena Canonero….